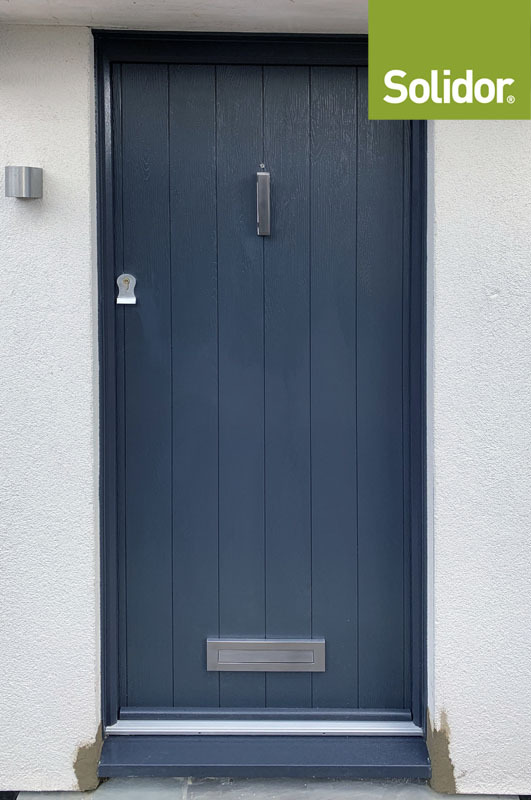 Solidor Flint Cottage Range door in anthracite grey. Architectural brushed finish knocker and letterbox with finger pull lock. 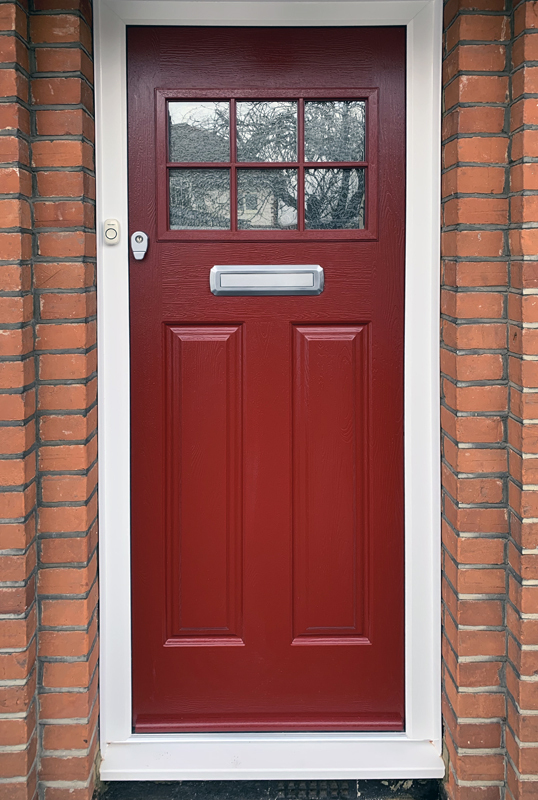 Endurance Peatland door in rich red with artic glass. Brushed finish door furniture.